Emergency walk-in and late weekday evening appointments available. 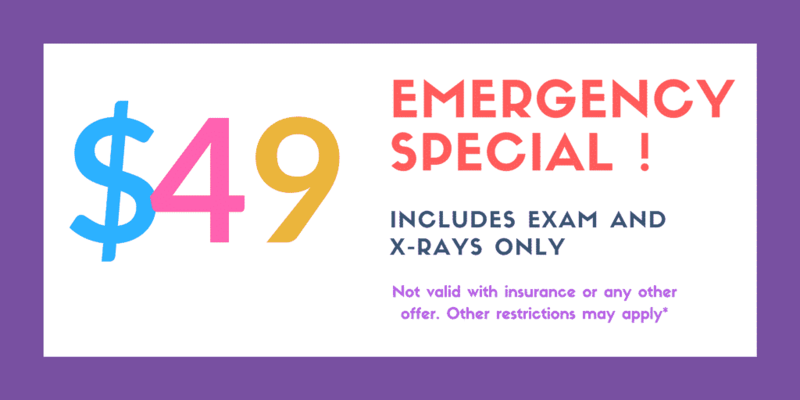 Your dentist should be the first person you call if you have a dental emergency. We are committed to helping you in emergencies and have set aside time for emergency procedures. Our team at Dental designer will try to accommodate any last minute or walk-in appointment requests. We are also open on Saturdays and late weekday evenings in case of any emergencies. Fixing a chipped tooth, re-cementing a crown that is not causing pain or composite fillings used to repair a tooth are not dental emergencies. Typically, such problems can be dealt with during your dentist’s regular office hours. Are you having severe pain? Is your broken tooth causing pain? If you answered yes to any of these questions, you might be having a dental emergency and should call your dentist immediately. It’s important to describe to your dentist exactly what has happened and what you are feeling. How to pay during emergency if you don’t have insurance? We accept a variety of dental insurances, payment choices and financing options that fit your wallet.